If you are an employee of an organisation, there are certain obligations that are imposed on your employer. There are many things that your employer will be expected to do for you, but chief among these is to ensure that you are working in a safe environment. If you have suffered an accident in the workplace you may be entitled to compensation. Call on 01252354412 for reliable , experienced advice , or fill out the form below . Every year many people are involved in accidents at work. Depending on your working environment, the risk that a certain kind of accident may happen might be particularly high. Regardless, the law has been designed in such a way as to require that your employer take certain steps to ensure that you are not exposed to unnecessary risk. This guide will tell you everything that you need to know about being involved in an accident at work. What is an 'accident' at work? It may sound like a simple question, but many people are wary to call the small mishaps that can and do happen every day in the workplace an 'accident'. There is no strict legal definition for an accident at work. Quite simply, if you suffered because something happened that otherwise should not have taken place then you were involved in an accident. This can range from a slip or fall in a corridor that has recently been mopped to being injured when using a piece of machinery that was found to be faulty, or in need of repairs. If you are in any doubt about whether you are in a position to make a workplace accident claim you should call on 01252354412 where you will be advised about your situation and whether a claim is appropriate . What are your employer's rights and responsibilities? If your employer has hired you as an employee then their rights, in terms of what they can expect from you will be laid out in your contract of employment: your hours of work; the nature of your role; procedures for granting holiday requests; their payment of tax and national insurance on your behalf etc. Your employer's obligation to take reasonable care for your safety is a general one, meaning that it not only applies to you and what you do in work, but also how you do your job i.e. telling you when to use safety equipment and showing you how to use them. It is very important to note that your employer's responsibility to protect you from harm is not limited to physical harm, and also includes psychiatric harm. This does not mean that your employer will not be fulfilling their obligations if you are struggling with your role – employers are entitled to expect that their employees can cope with the day-to-day chores of their role. There will however be reason for concern if your employer knows that you are particularly vulnerable to mental fatigue, and has not taken measures to account for this. You should be aware that there are limitations as to what your employer can be expected to do, and the law reflects this. All that the law requires, generally speaking, is that your employer maintains the standards of a reasonable employer. In other words, your employer will not have breached their legal obligations if they fail to prevent anyone from ever being harmed – that would be impossible and would be a disproportionate obligation that no employer could ever meet. As an employee you owe certain responsibilities to your employer and, basically, these are essentially the terms of your contract of employment. You have a responsibility to perform all of the duties laid down in your contract; adhere to the working hours; follow procedures for holiday allocation etc. In terms of the rights that you have as an employee, they mirror the responsibilities of your employer. You have the right to expect that your employer will discharge all of their responsibilities that they owe to you, as outlined above. If you have suffered physical or mental harm, because your employer didn't do what they were obliged to do i.e. 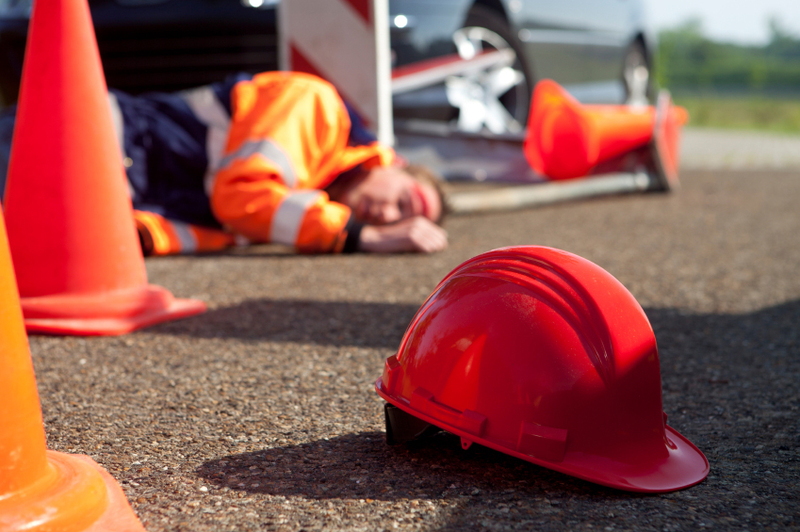 they were negligent, you could bring a claim a personal injury claim against your employer. While it is true that you do have two alternative options that would allow you to mount a claim against your employer, there is a caveat to this. The law will not allow you to be compensated twice for the same injury. In other words, you will not be able to claim against your employer for a breach of contract and mount a personal injury claim in respect of the same accident – you will have to decide which option best suits your circumstances. For advice about your situation and making a claim call 01252354412 or fill out the form below . There is no legal definition for an accident. They include small slips and falls, to more severe injuries. If after looking through our guide, you’d like further accident claims advice relating to a potential compensation claim, please get in touch 01252354412. Friends Legal can give you the advice you need wherever in the United Kingdom you are based (including London, Manchester, Birmingham, Leeds, Liverpool, Bristol, Edinburgh, Glasgow, Aberdeen & surrounding areas). Please click here to find out how to make a claim for an accident at work in Aberdeen. Discuss your position for free today. Call free on 01252354412. The contents of this guide are not intended to constitute legal advice and you are strongly advised to seek independent professional advice on matters that affect you. If you need expert advice from experienced legal practitioners, contact us today.